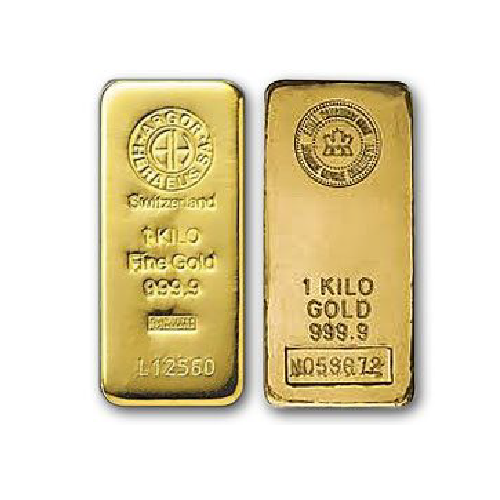 1 kg Gold Good Delivery List bars are the perfect choice for those who value quality but are not brand-conscious. They are crafted in pure gold (.9999 fine) by some of the world’s most highly regarded refiners including Johnson Matthey, Heraeus, PAMP Suisse and Royal Canadian Mint. The manufacturers of these bars are all named on industry-standard “good delivery lists” and are as well reputable refiners, which are guaranteed to be recognized by bullion dealers the world over and to retain their resale value regardless of their age or brand.